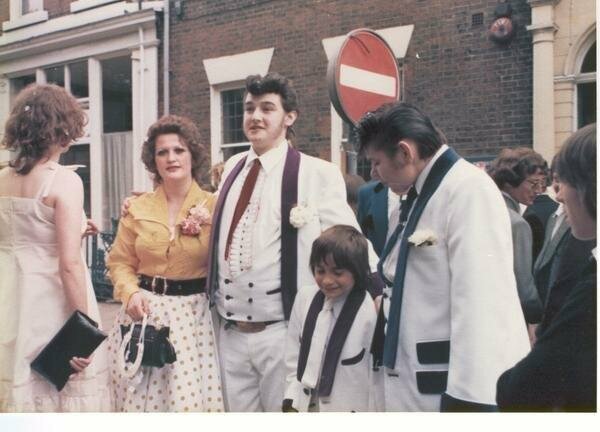 Photographs of the Leeds Teddy Boy Scene in the 1970's and 1980's. 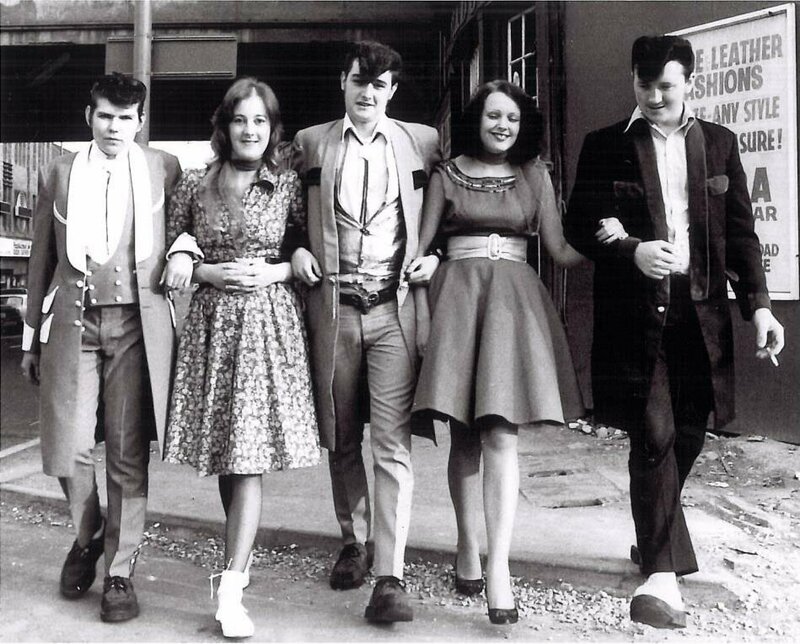 Yorkshire Evening Post, Leeds, 5th July 1976 Rock and Roll line up from left: Henry Karasiewicz 25 Kirkstall, Julie Skelton 18 Horsforth, Nick Kovrlija 21 Halton, Lynda Gedge 18 Horsforth and Terry Best 25 Roundhay. 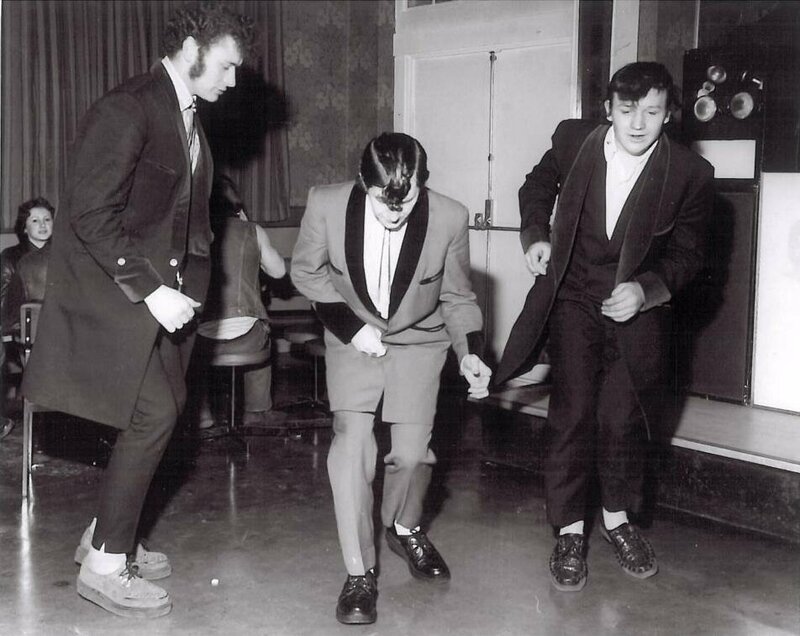 Yorkshire Evening Post, Leeds, 28th March 1974 Teddy boys bopping on the dance floor at the Wykebeck Arms. . . . from the left are Dennis Peace 22 of Dewsbury Road; Martin Gibbs 19 , of Halton, and Laddy Whitaker 18 of Armley. 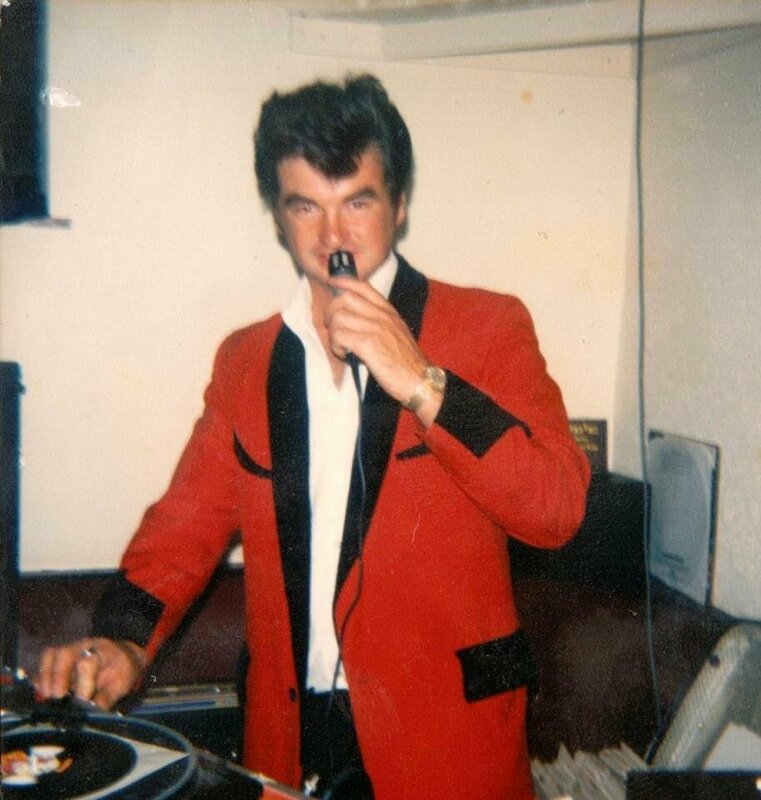 Nidge DJ at the Whip Pub, Duncan Street, Leeds early 1980's. 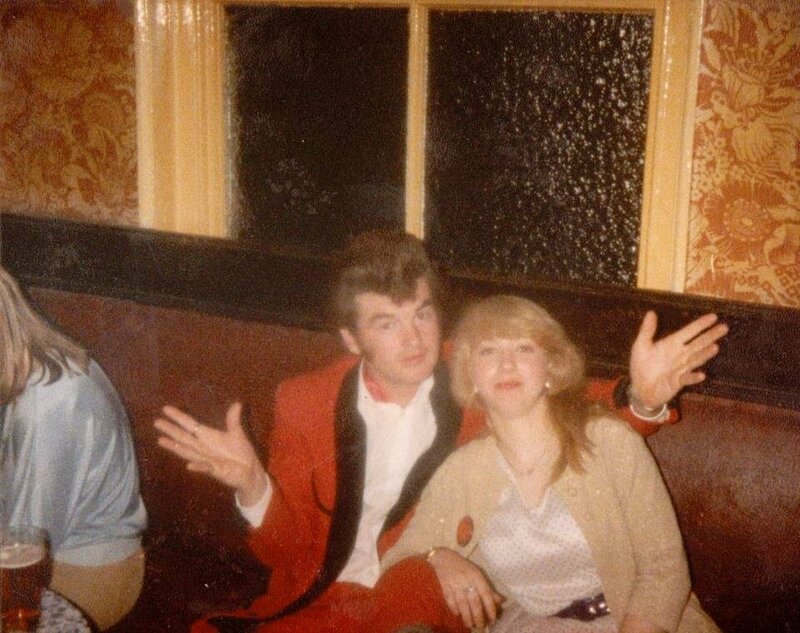 Nidge with Tracy Cox at the Whip Pub, Duncan street, Leeds in 1980. Nidge at the Fforde Green, Leeds 1970's. 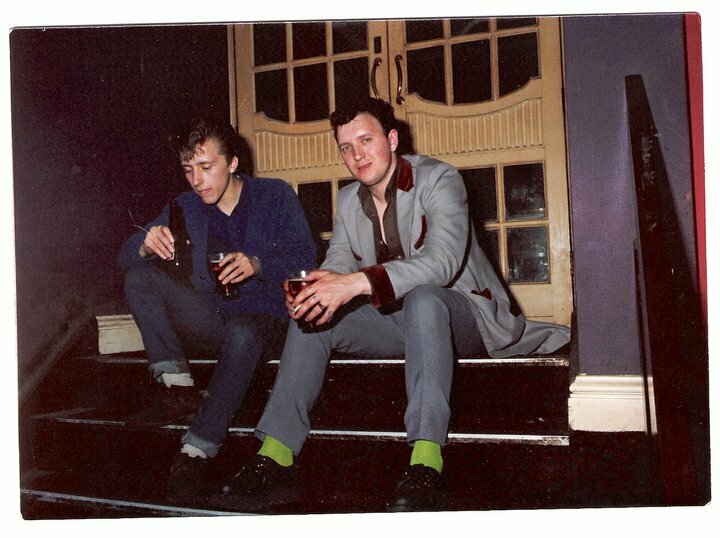 Steve Hickey and Terry Best at The Gaiety, late 1970's. 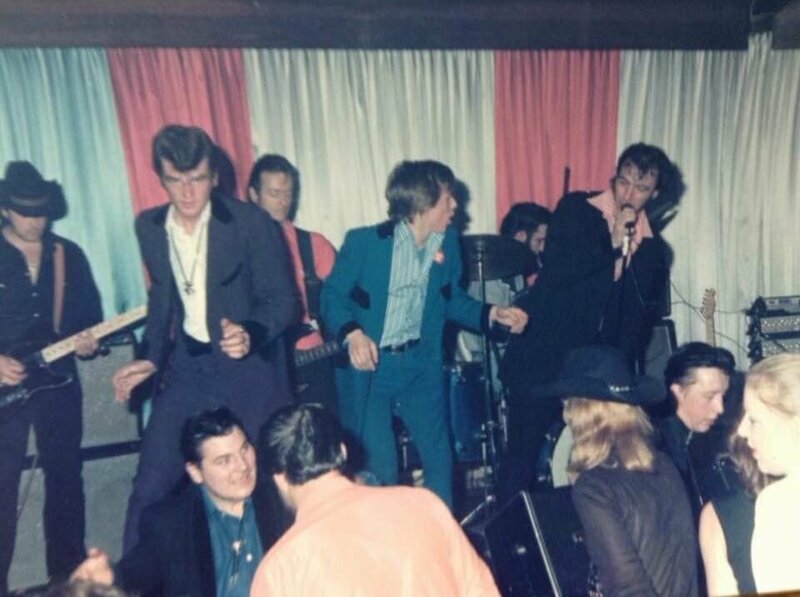 Steve Sampson, Jimmy Fletcher & Nidge inside the Viaduct Pub, Lower Brigatte, Leeds early 1970's. 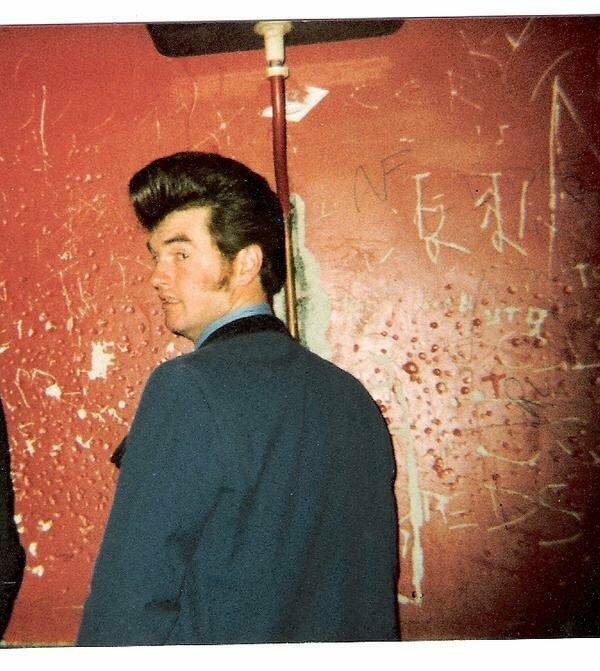 Inside the Whip Pub, Leeds late 1970's. 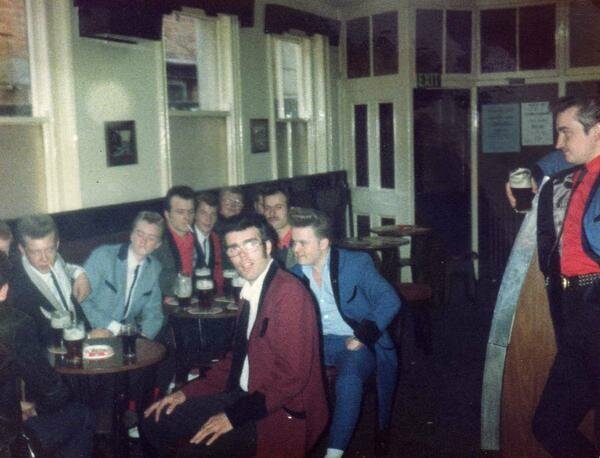 Leeds Teds in the Mucky Duck (White Swan), Leeds early 1980's. 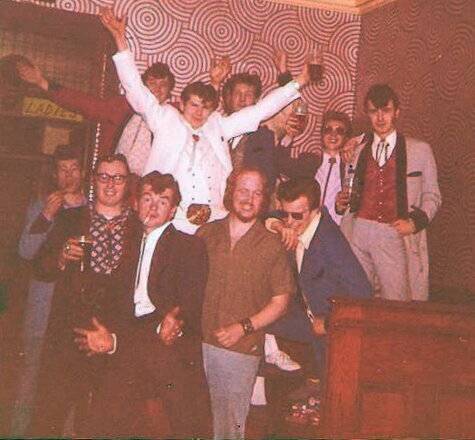 Leeds Teds in the Mucky Duck late 1970's . 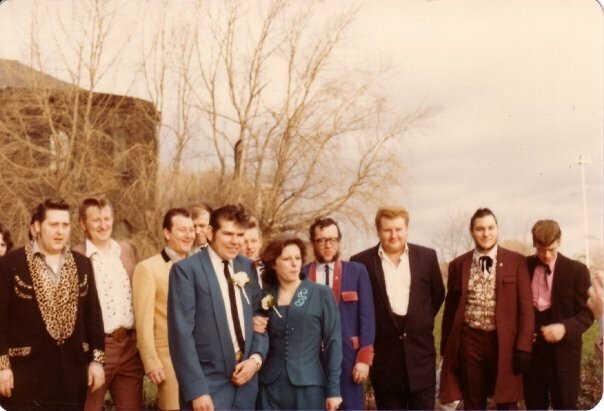 A big Gang of Leeds Teds in the Whip late 1970's. 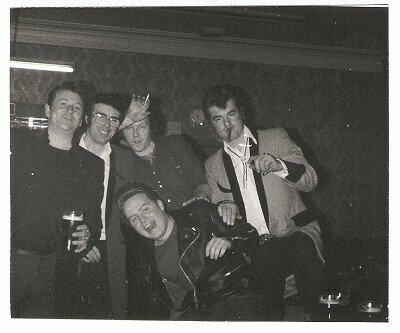 Nidge, Jimmy Fletcher with Wolf at the White Swan 1970s. Dennis Peace RIP, Jock Kenny, Nik Kovrilja and Sammy. Leeds Teds in the Viaduct 1978. Maggie and Nik's Wedding with Henry. 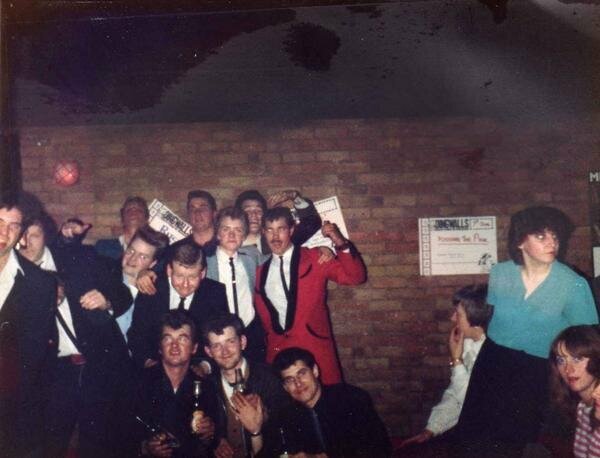 Leeds Teds at Caister 1979. 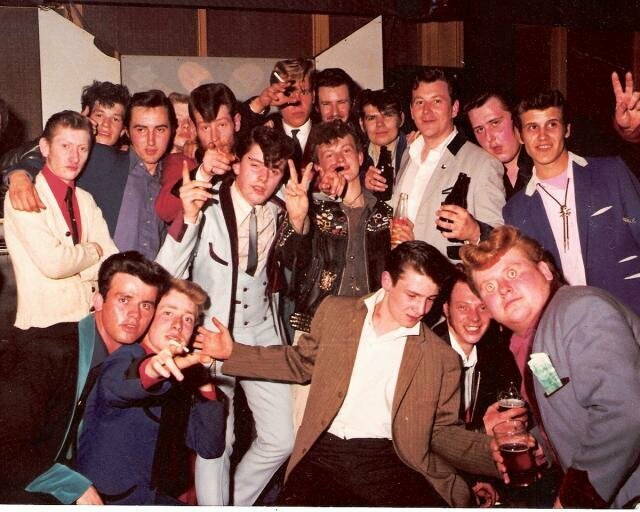 Leeds Teds downstairs at Brannigans Bar, The Calls Leeds early 1980's. 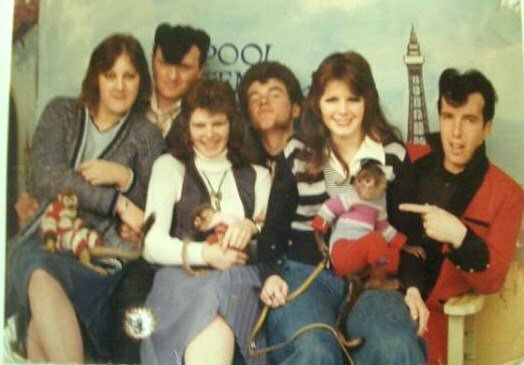 Blackpool early 1970's with Julie Skelton, Terry Best, (R.I.P.) 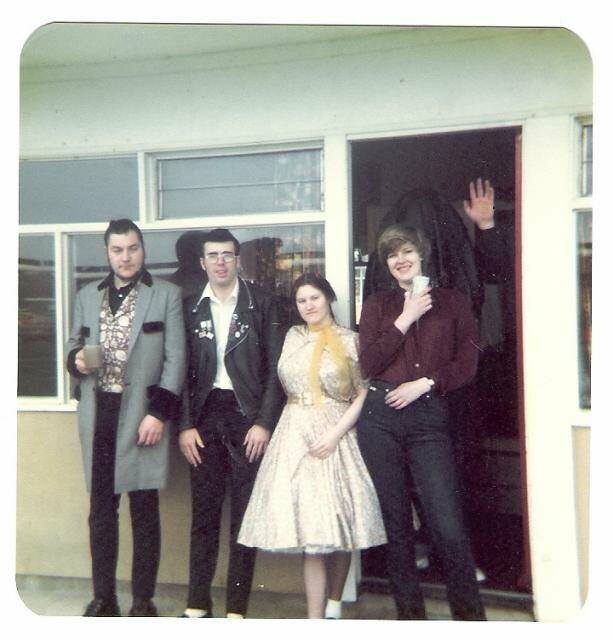 Jackie Cranston, Nidge vR Toas, Debbie and Ian Easton. Early 1970's at the Bridgefield with Paul Barber, Big Gerry Townes and Dennis Peace (R.I.P.). 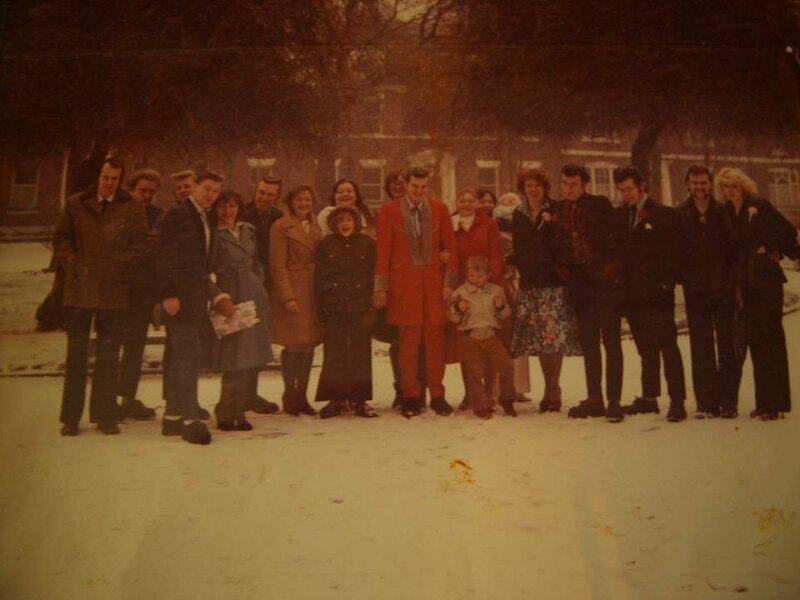 Teddy Boy Wedding on a snow laden Winter's Saturday outside the old Leeds Registry Office in Park Square, late 1970's early 1980's with a few familiar faces. 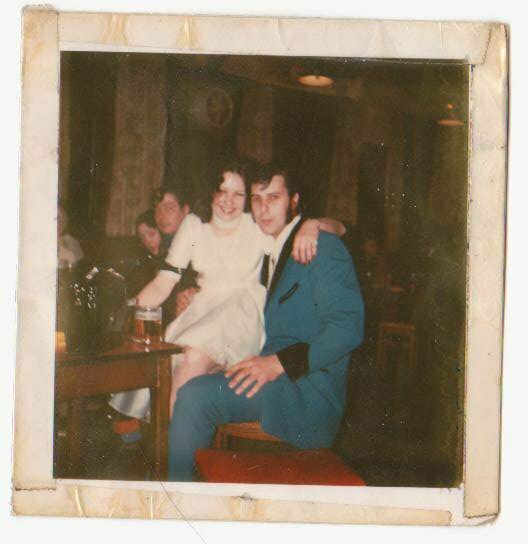 Lynda Gedge from Horsforth near Leeds with Dave Cass from Doncaster circa 1975. Dave sadly died at the very young age of 27 - R.I.P. 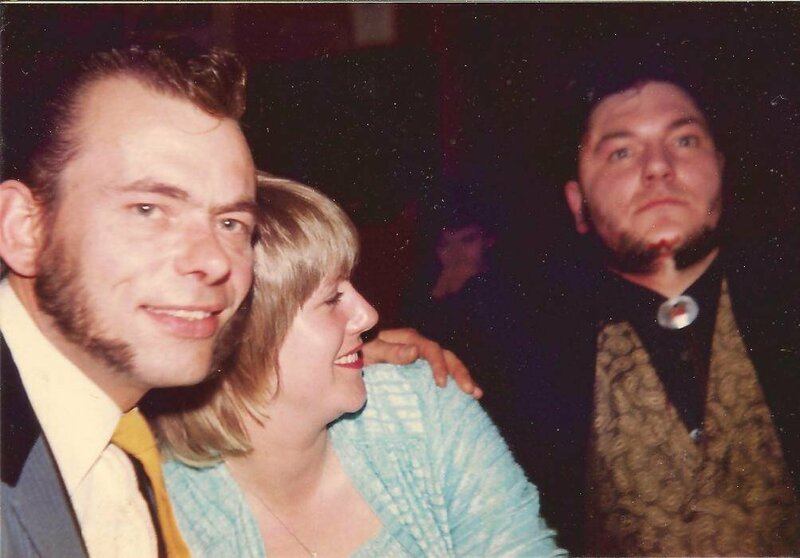 Those were the days at the 'Black Bull, Doncaster in 1975 with Lynda Gedge and Dave Cass. Dave Johnson, Max and Miles at the Astoria, Leeds, early 1980's. THE BROUGHAM'S ARMS (the Duck & Drake since 1985), Kirkgate, Leeds 1983. 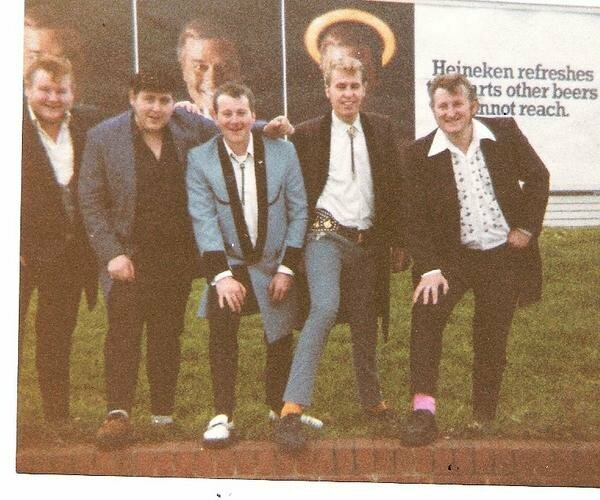 Left to right: Dave "Melbourne" Williamson, Pete Ewart, Tony Hennigan, Nidge vR Toas and centre, Phil "Bopper" Hainsworth. 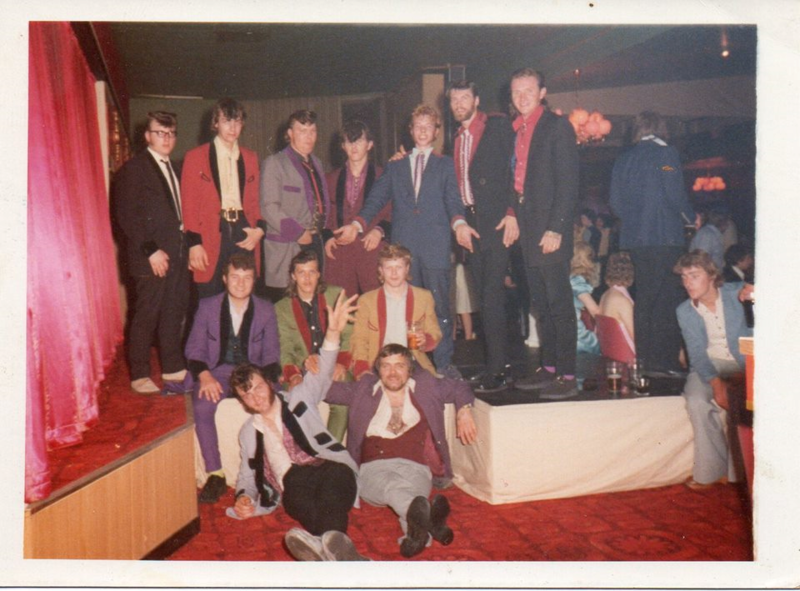 Leeds Teds at Blackpool, Lancashire in 1983 to see "Remember This" with notable Teds then - back row Dave Cambridge (4th left) in Maroon Drape, Paul Sharman (5th left) in Blue Drape and centre row Dave Ibbotson (1st left) Purple Drape and front row sat down Big Gerry Townes (left) in Powder Blue Drape and original Ted Roy "Rocky" Townes (right) in Purple Drape - no velvet. 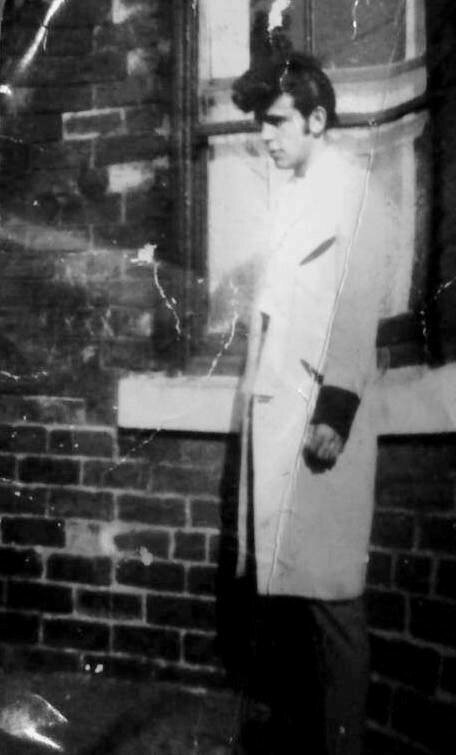 Teddy Boy Roy "Rocky Townes" photographed at Armley, Leeds in 1958, in an iconic squared bottomed rolled / shawled collar drape jacket. 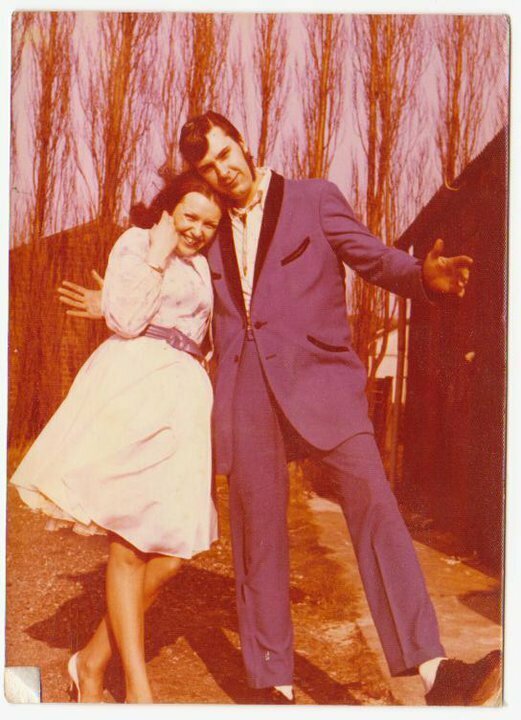 Although the Drape Jacket has slanted jetted pockets, the style of this Drape became very popular amongst the Leeds Teds of the 1970's. Big Gerry Townes who was Roy's younger brother (see previous photograph taken in 1973) was the obvious influence who can be seeing wearing the same style of Drape. 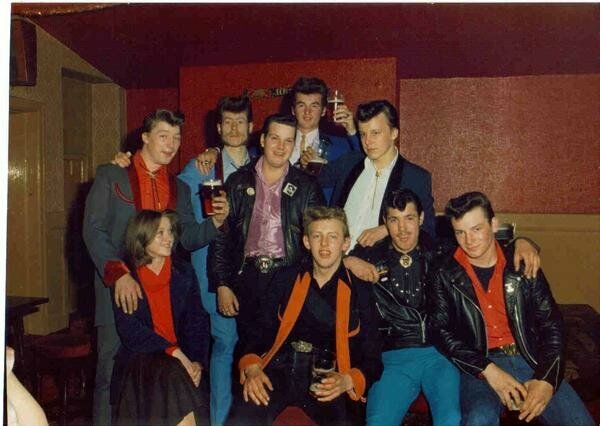 the main difference was that the 1970's Leeds Teds would have velvet on their collars, cuffs and pockets. 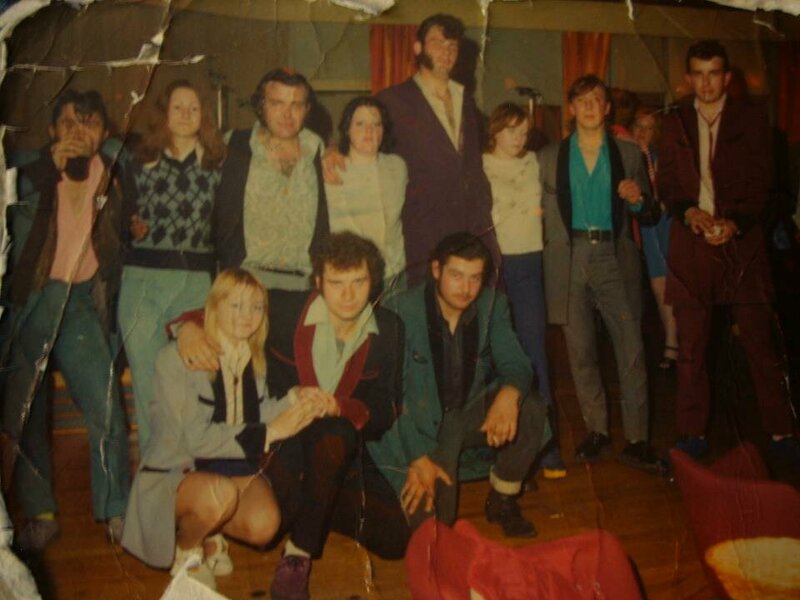 Seventies on stage, Nidge with Cavan and Steve Hicky with Myles and Josephine Parsisson (now Josie Coote) dancin. According to David Williamson (the curtains are the give-away!) 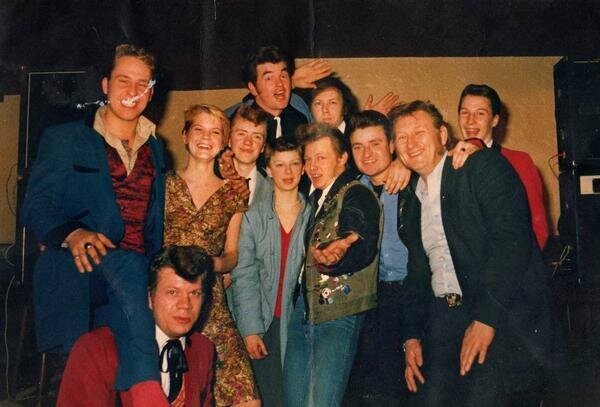 this photograph was taken at the East Ward Conservative Club, Long Close Lane, Richmond Hill, Leeds 9.